The Sanctuary currently provides food, shelter and veterinary care for over forty Wolves with no government or corporate assistance. Only, by your continued support and interest do the Wolves thrive. A Zip Line Canopy Tour is a series of cables and platforms that take you on an exhilarating tour through forests and wildlife. 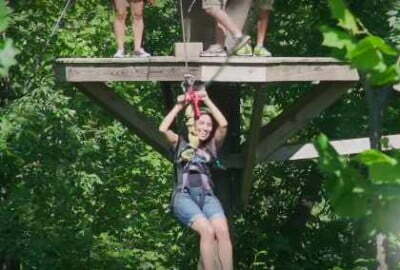 Canopy Tours were originally created to study different plant life and trees. Now it has become much more about the exciting “ziplining” experience, however, we still try and show the forest and wildlife from a perspective you’ll never forget!